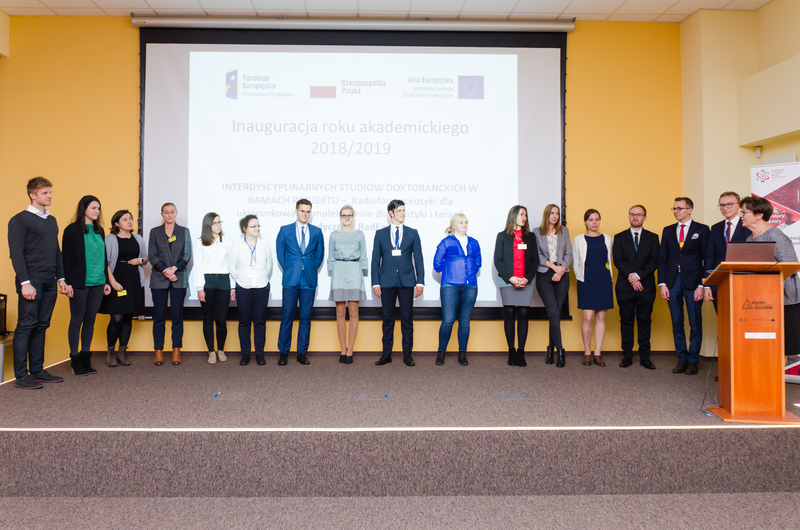 On 4th October doctorate studies were inaugurated in Świerk under RadFarm project - Radiopharmaceuticals for molecularly targeted diagnostics and medical therapy. 17 listeners will be attending the lectures and led their own research in four cooperating scientific units. The course is co-funded by National Centre for Research and Development's POWER programme. 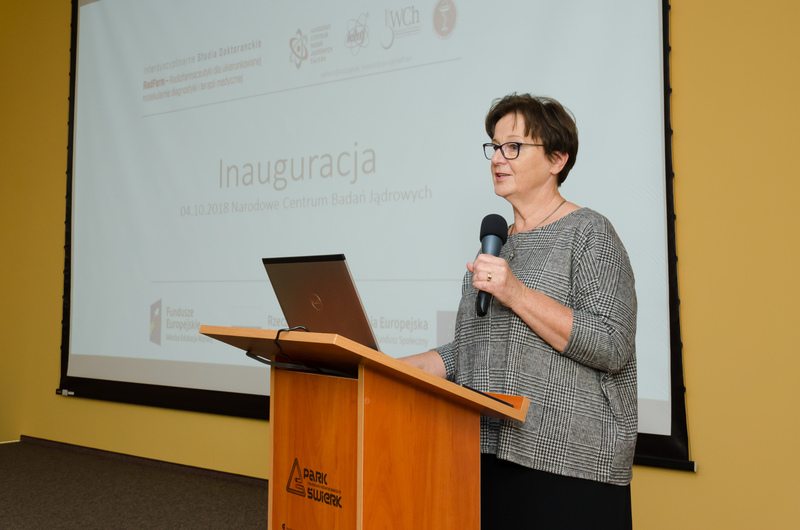 Opening the event Professor Renata Mikołajczak (NCBJ – POLATOM) noted the importance of the new course of study for the development of nuclear medicine and radiopharmacy. In her presentation, Professor Ewa Rondio, NCBJ Deputy Director for Science, expressed an expectation, that the students who are starting their courses will soon be able to supply the crew of the CERAD laboratory, currently in construction. The RadFarm course of study can prepare them for that task exceptionally well. New, modern laboratory, in possession of tool for production of radiopharmaceuticals, such as cyclotron and nuclear reactor, as well as a number of specialistic research labs assisted by computing potential of supercomputer centre in Świerk, will create an opportunity for their scientific development on world’s highest level. During the second part of the ceremony students collected their Indexes and those, whose home didactic unit will be NCBJ, took a solemn oath. The inauguration was ended with the first lecture delivered by Professor Leszek Królicki (Warsaw Medical University) titled „Dlaczego jesteśmy” (Why we are).